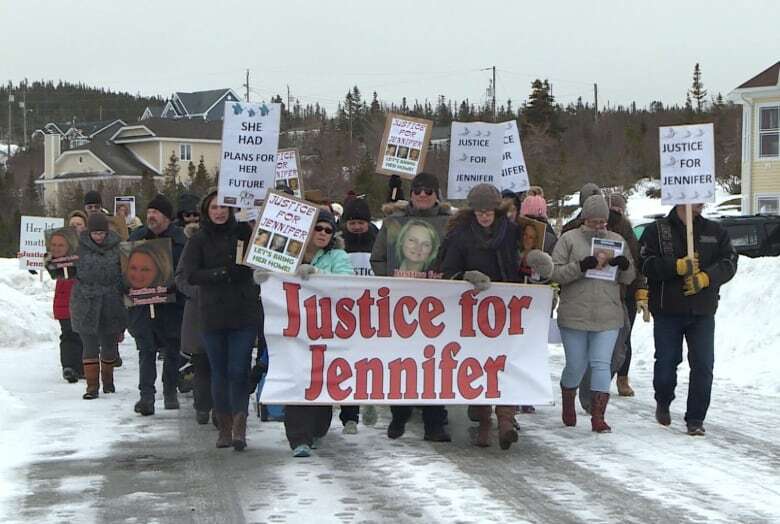 Frustrated, sad and angry, Jennifer Hillier-Penney's family organized a walk Saturday that took them to the RCMP detachment in St. Anthony and the driveway of the home where she disappeared. 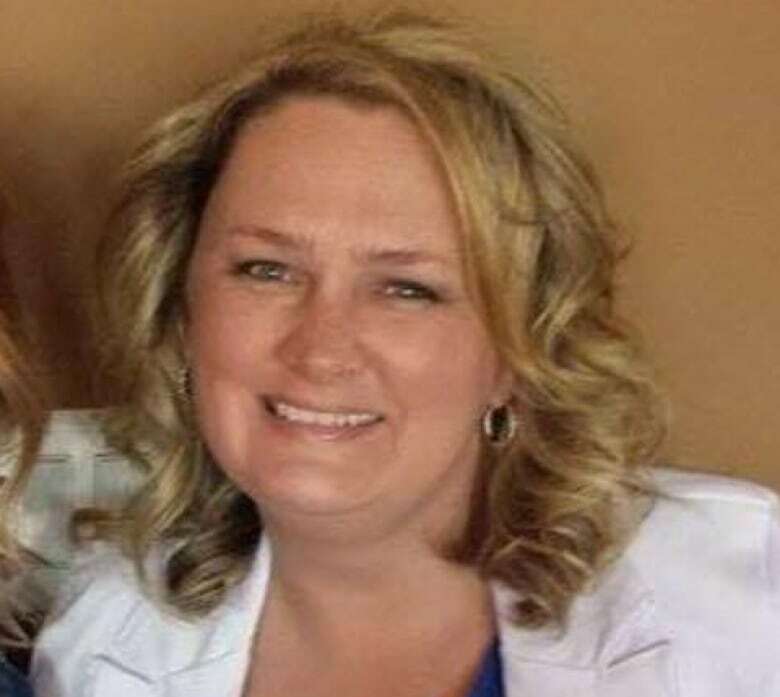 A somber anniversary passed Friday night — it's now been two years since Jennifer Hillier-Penney disappeared — but for some, not nearly enough has changed. "We know no more now then the day she went missing," says Yvonne Hillier-Decker, who is Hillier-Penney's sister and one of the last to have seen the woman in St. Anthony. Frustrated, sad and angry, Hillier-Decker and others in Hillier-Penney's family organized a walk Saturday morning that took them to the steps of the RCMP detachment in St. Anthony and the driveway of the home where she disappeared. "Today is a very emotional day," said Joann Peyton, another of Hillier-Penney's sisters. "We would hope that it would not be two years since Jennifer went missing that we wouldn't have the answers." 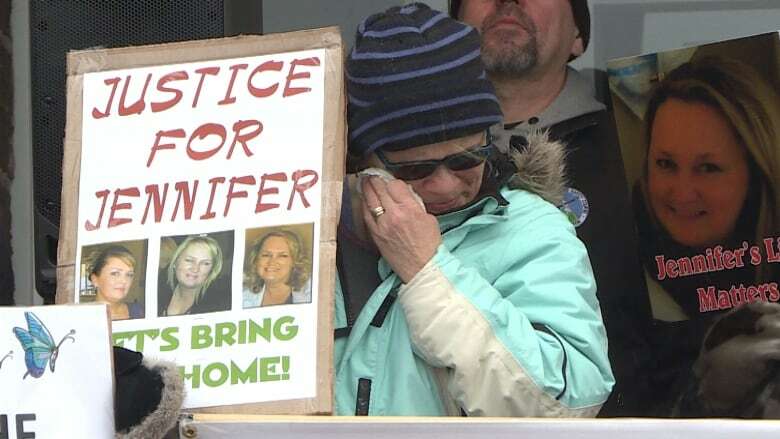 The crowd of marchers held signs — "Justice for Jennifer" — and chanted "we want answers!" as they walked through the town. "There's people around, there's people in this community that have the answers we're looking for," Peyton explained. Hillier-Penney was last seen on Nov. 30, 2016, at her estranged husband's home. When her daughter woke up the following morning, she was gone — though her keys, purse and phone were all in the house. The RCMP have labelled her disappearance as suspicious, but have never identified any suspects in the case. 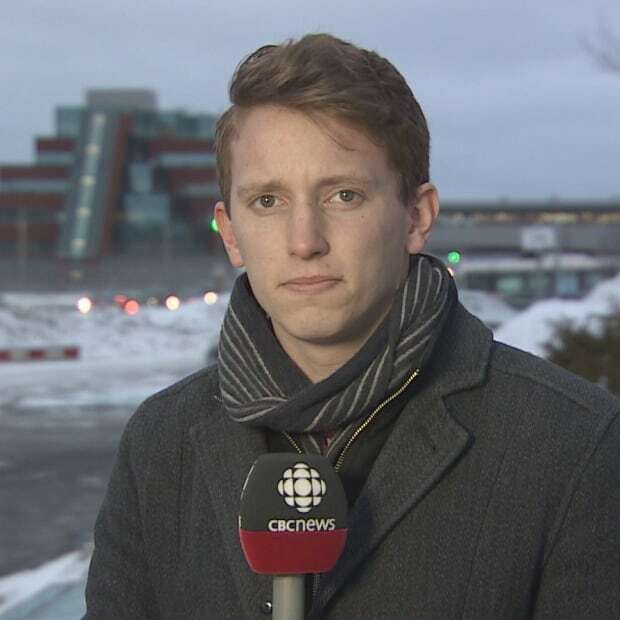 In advance of an episode of The Fifth Estate broadcast on the disappearance, a justice of Newfoundland and Labrador's Supreme Court issued an order that barred media from reporting that the police have identified anyone as being involved. According to Hillier-Decker, RCMP investigators visited St. Anthony again this week, but did not share any new information with the family. She believes more needs to be done. "We need more interviews done, more talking, more — not just coming around once a year." Among the marchers were some of Hillier-Penney's younger relatives, including her great-nephew, Jake. Peyton says the whole family is trying to keep the memory alive. "All of our children and grandchildren — it's been known, and we keep her memory alive through pictures, and when they get older we'll tell them about Jennifer, the beautiful person that she is, passionate and caring," Peyton said. "And she loved children. Children was her life." Hillier-Penney had two daughters, Deana and Marina. "She loved her girls dearly," added Marilyn Earle, who helped organize the march. Many of the posters and signs brought to the march showed an ominous passage: "Someone knows something." "There's more than one [who] knows," said Hillier-Decker. She has concluded that Jennifer was killed. "She was murdered, she was murdered the night she was taken," she said. "They say St. Anthony is safe, St. Anthony is not safe, there is a murderer walking around here in St. Anthony." That hasn't stopped the family from holding onto some hope they might find closure. 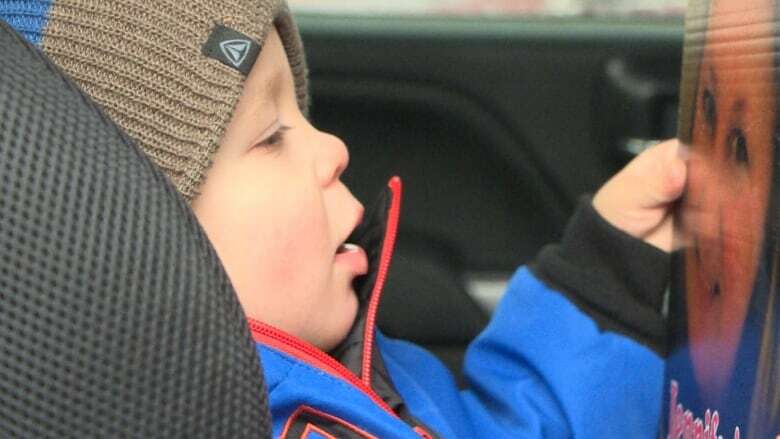 "Every day, every night, every hour, every minute, we're just hoping that something shows up," said Hillier-Decker. "We need answers." "It never gets easier," added Peyton. "It's actually harder, because every day you have to face that Jennifer is no longer with us, and we don't have the answers that we're looking for." "So every day is more difficult than the day before."